This is Katie Moore’s first year with the County Line! Sadly (she knows), she’s still a freshman. But, she hopes to work on the staff for the rest of her high school career. When she’s not taking pictures or making a new spotify playlist, you can find Moore daydreaming about studying photojournalism at New York University. 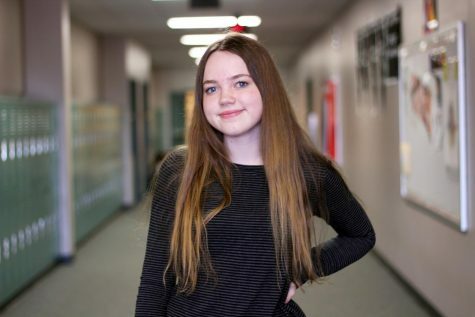 Moore has a passion for making the world a better place, whether that’s by working at a local magazine or by working as an AP photographer she doesn’t know yet. But, she does know she has a dream, and she’ll do whatever it takes to make that dream a reality.